President George H.W. 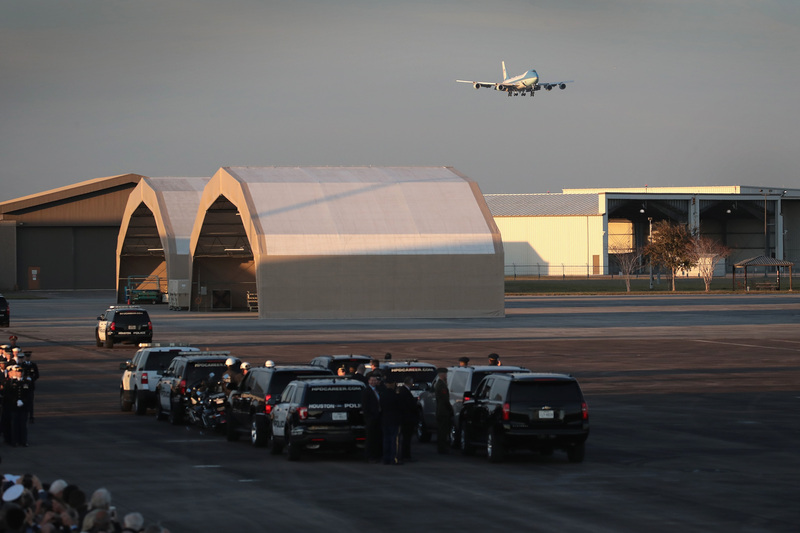 Bush arrived in Houston, Texas on Wednesday evening — aboard the temporarily renamed Special Air Mission 41 — where he will lie in repose overnight at St. Martin’s Episcopal Church in Houston. All over Texas, people paid their final respects to the 94-year-old World War II veteran. About three hundred invited guests were present when the plane touched down, including athletes AJ Hinch, Andre Johnson and Calvin Murphy, according to the Associated Press. They were greeted by a military band and cannons being fired as the casket was being moved to a hearse. His body was then transported to the church ahead of his funeral which is scheduled for Thursday morning. During the transport, about fifteen firemen stood on their truck saluting the hearse as it passed, the AP reported. 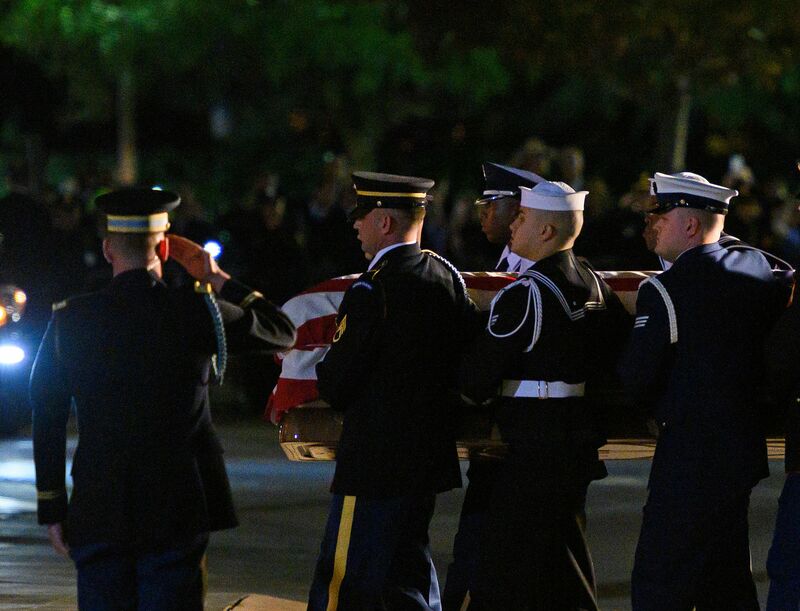 Bush’s casket was moved from the Capitol rotunda earlier Wednesday after lying in state for two days and was transported to Texas after the National Cathedral ceremony. Bush will be laid to rest at his own presidential library at Texas A&M University in College Station.